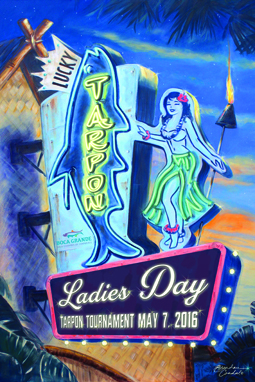 It’s not too late to register for the 2016 Boca Grande Chamber of Commerce Ladies Day Tarpon Tournament, which is scheduled for Saturday, May 7. As of now, approximately 30 teams are signed up, but there is room for still more. Last entries will be taken on May 2. The entry fee is $550 per team. Shirts, posters and other gear are now available at the Boca Grande Chamber of Commerce office, 471 Park Avenue. Call 964-0568 Monday through Friday between the hours of 10 a.m. and 3 p.m. for more information.